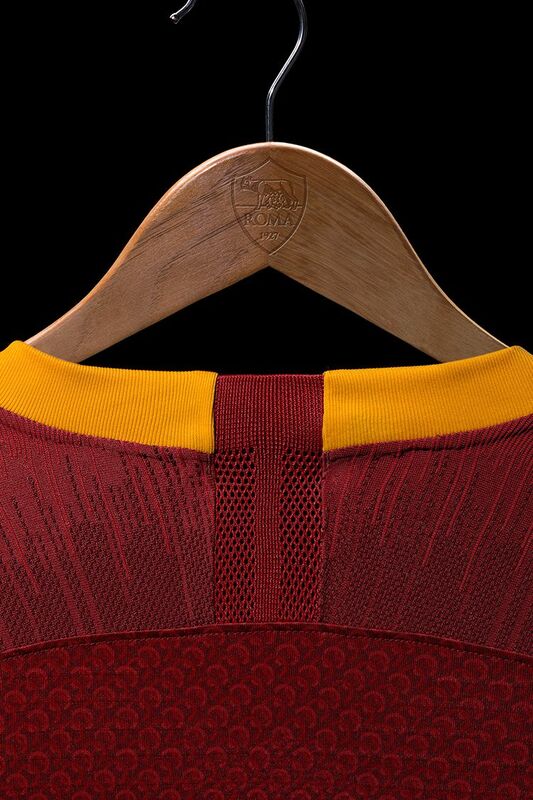 With their home kit inspired by Roman armour, the Giallorossi are always ready to turn defence into attack. 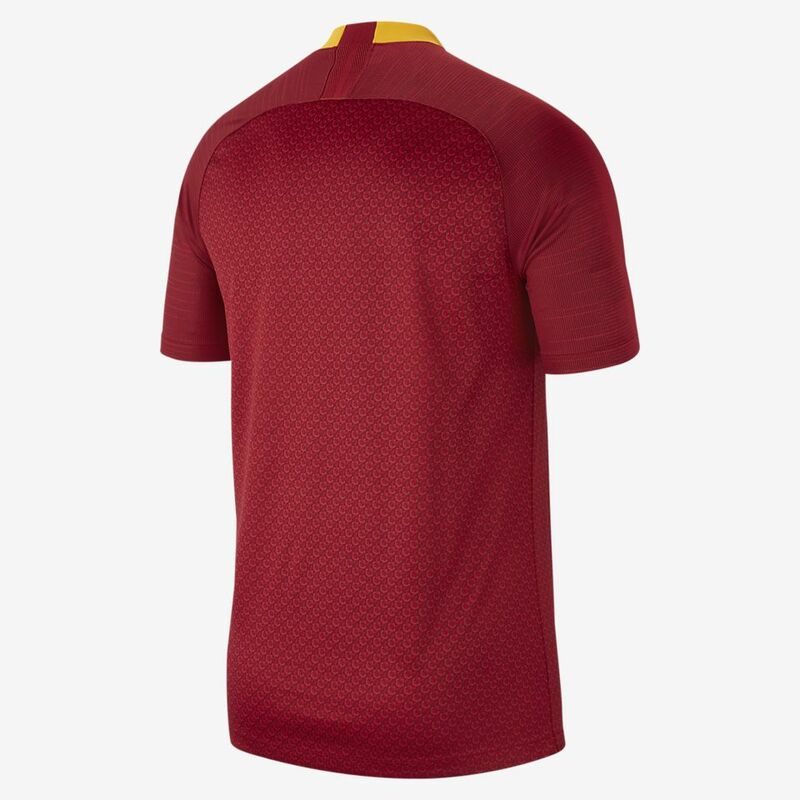 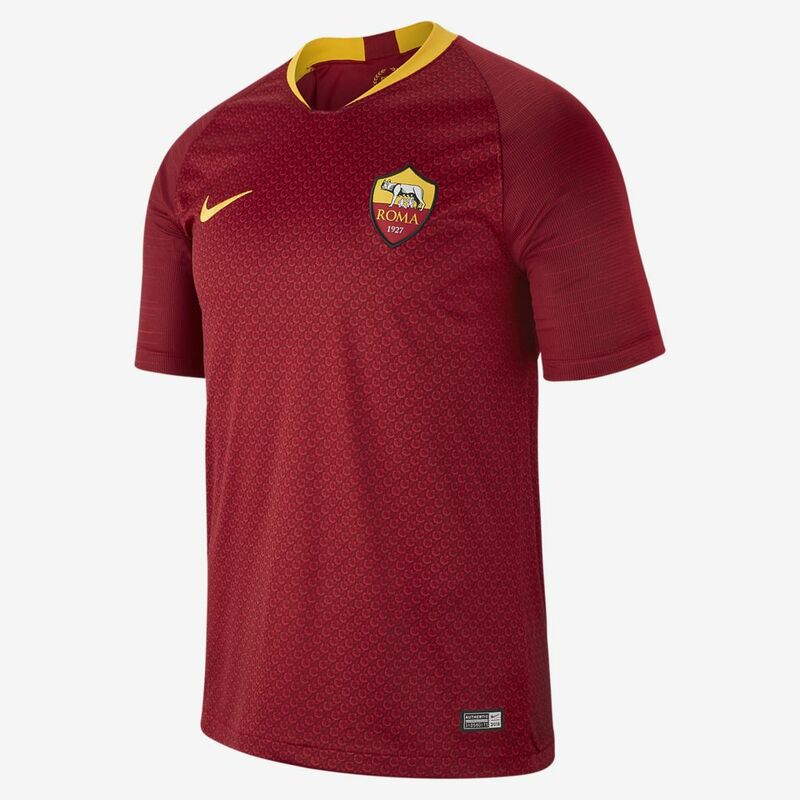 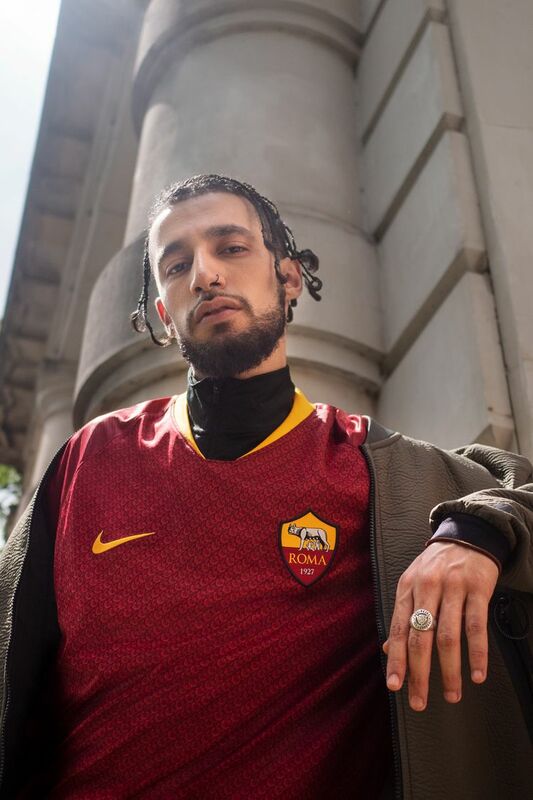 The AS Roma 2018/19 home kit features a graphic inspired by the innovative chainmail armour of the Roman army, which was lighter and faster than any others at the time. 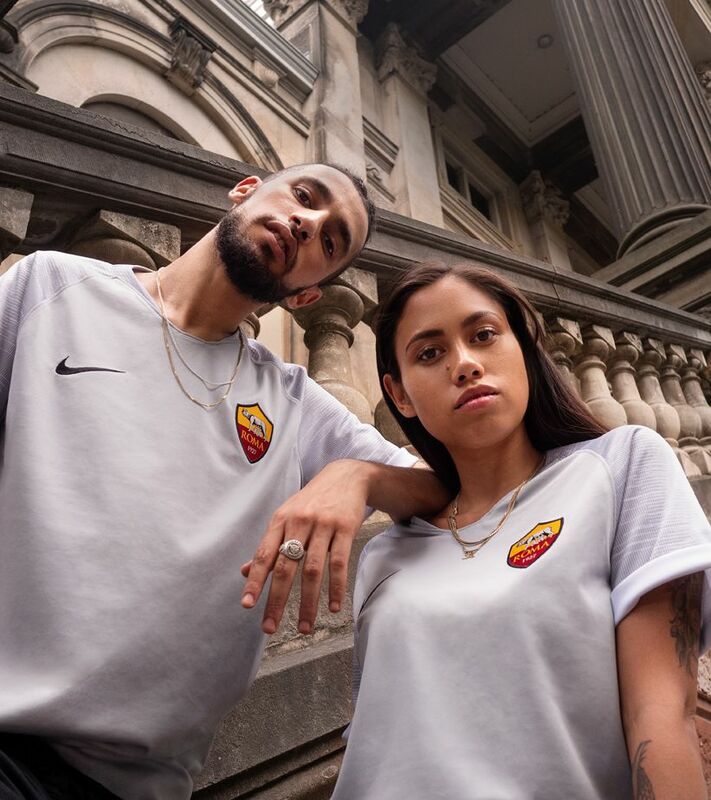 These links on the Giallorossi shirt represent the unbreakable bond between AS Roma, the city and the club's fans all over the world. 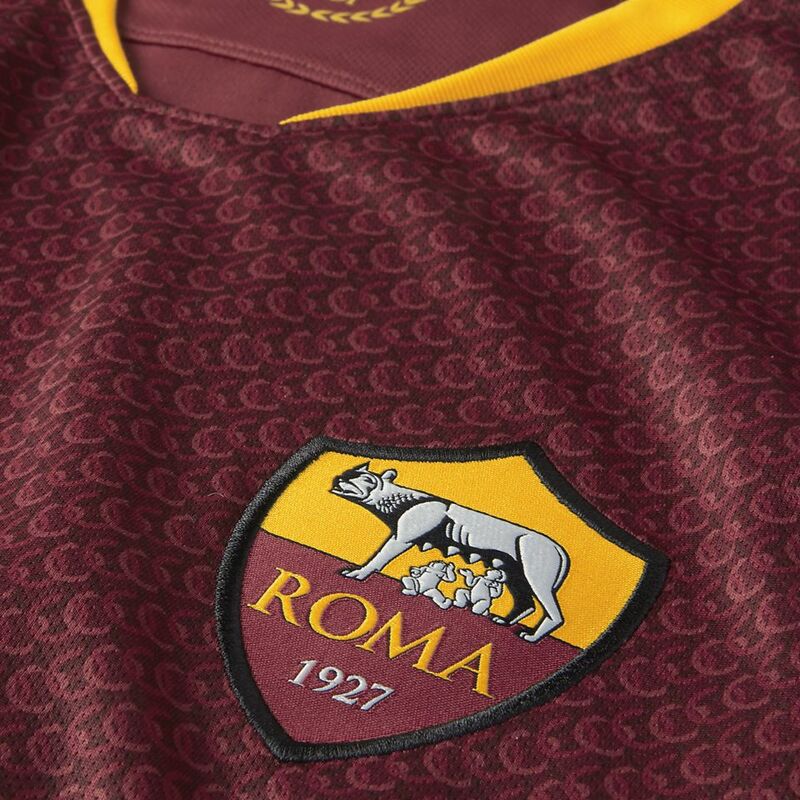 In 1927, three football clubs merged together to form a team that could compete with the top northern Italian teams. 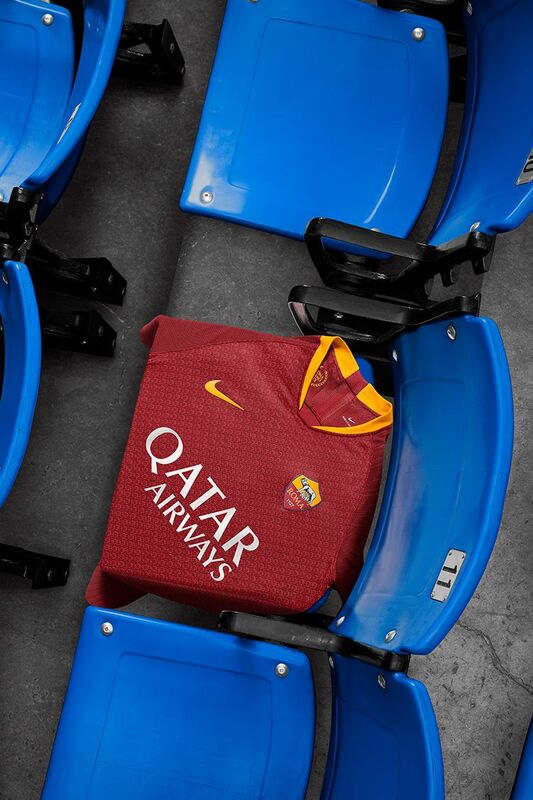 The result was a club that would represent Rome with relentless focus on the pitch. 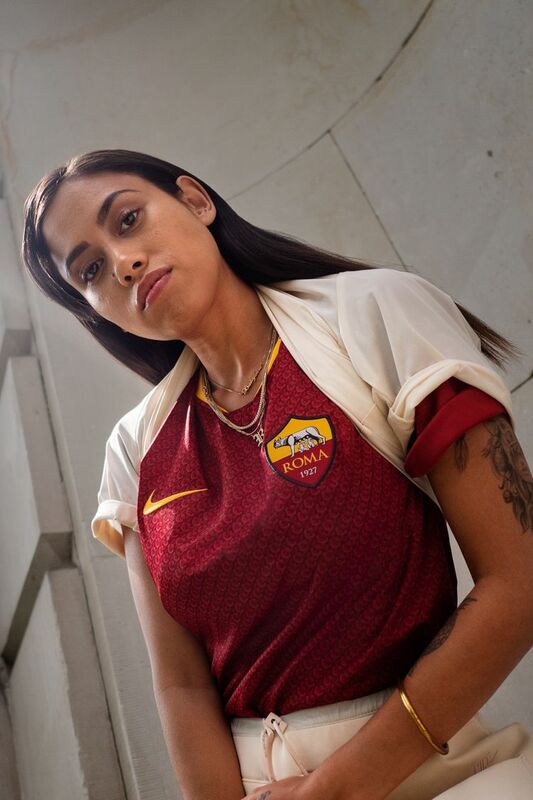 With three Italian titles in their 1941/42, 1982/83 and 2000/01 seasons, and only playing a single year outside top-tier Italian football, Roma's 2018/19 Home Kit will be worn as the club continues to build their legacy.